For those who enjoy the occasional comic book or fictional superhero, we begin our discussion today with Aquaman. This guy is from Atlantis lineage, breathes underwater, communicates with sea creatures, swims like a fish and is a founding member of the Justice League of America (along with Superman, Batman, Wonder Woman, Green Lantern and The Flash). 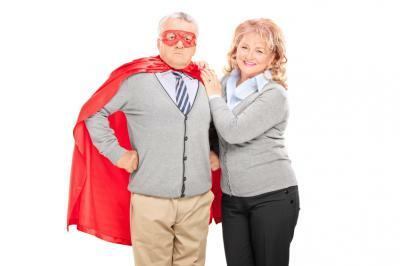 Personally, we think one key member is missing from this team--the community bank crusader! Ah well, perhaps that small business superhero was busy saving the banking industry and local communities when the League was formed. Decades ago, if you'd have told us, banks in the future would be competing heavily with upstart tech-based companies for small business loans, we'd probably have laughed. But the changes that have been happening in our industry are no laughing matter. Banks that don't take seriously the threat from alternative lenders run the risk of being undercut and undone by the competition. Alternative lenders are technology driven, are not regulated by banking examiners and are constantly innovating. They continually look for ways to capture more small business loan opportunities as they test and learn. One need only look at some recent announcements by a few to capture a taste of the hearty competition community banks face. The biggest is Lending Club, which launched in 2007. It boasts that it has facilitated over $13.4B in consumer loans through its platform. Lending Club also offers business loans for up to 5Y terms, with fixed monthly payments and no prepayment penalties. It also recently announced a new Business Line of Credit program for up to $300,000 that can be used anytime and paid back over 25 months or less. Next is Prosper, which launched in 2006. Prosper indicates it is America's first peer-to-peer lending marketplace and it has 2mm members and has funded over $5B in loans. Prosper offers loans for debt consolidation, home improvement, special occasions and personal loans for business. Loan amounts range from $2,000 to $35,000 in size. OnDeck is yet another player and it launched in 2007. It offers small business loans from $5,000 to $500,000 for up to 3Ys. Since its formation, OnDeck has delivered $3B in loans. The company also recently announced a major expansion of its product suite, including an expanded term loan and line of credit range and lower rates for select customers. Another is Funding Circle, which launched in 2010. It offers business loans for up to 5Ys up to $500,000 in size, with online application in 10 minutes and bank account funding in less than 10 days. There is also no prepayment penalty and they have lent $1.5B so far through October of this year. It recently announced a partnership with H&R Block for small businesses that already use Block for bookkeeping, payroll, taxes and other accounting services to get access to business loans through Funding Circle under a referral partnership. Kabbage is also a player in this space, launching in 2009. It has provided a reported $1B in small business funding since then. Working capital lines on the platform can be from $2,000 to $100,000 in size, can be drawn at any time, and loan terms are from 1 month to 6 months in length. You may be wondering why we started today with a discussion about Aquaman. After all, he is weaker than Superman and seems to just talk to fish and swim around a lot. What sort of hero is that after all? Well, you can find out in the next few years, as he will reportedly surface in motion pictures already in the works. Until then, just keep being the community bank crusader you already are as you press forward no matter the competition. Treasury yields slightly increased while the stock market closed on a higher note for the week. Investors continued to expect a December rate hike as exhibited by trader sentiment. 1) Parkway Bank and Trust Co ($2.2B, IL) will not acquire Park Federal Savings Bank ($152mm, IL), after announcing the deal in May. No reason was provided. 2) Bank of North Carolina ($4.3B, NC) will acquire High Point Bank and Trust Co ($793mm, NC) for about $141.3mm in cash and stock or roughly 1.45x tangible book. 3) Royal Banks of Missouri ($405mm, MO) will acquire Frontenac Bank ($281mm, MO) for an undisclosed sum. 4) The First National Bank of Norway ($94mm, MI) will merge with First National Bank of Crystal Falls ($70mm, MI) for an undisclosed sum. A PwC survey of corporate directors finds the main reasons directors believe other board members should be replaced are: we don't have any directors who need to be replaced (61%), aging has led to diminished performance (19%), he or she is unprepared for meetings (15%), he or she does not have the expertise required (14%) and he or she oversteps the boundaries of his or her oversight role (12%). Nonbank online lender CashCall has paid $2mm in restitution and fines to settle CA state allegations that the company duped consumers to take out loans larger than $2,500 that are not subject to interest rate caps, failed to withdraw scheduled monthly payments to stretch out loan terms and increase borrower interest rate costs and deceived and overcharged borrowers. Chinese authorities have busted an underground banking network that handled illegal foreign exchange transactions worth $64B. This year, China has made arrests around underground banking and money laundering worth $126B as it cracks down to prevent money from leaving the country. Expense management company Centrify finds the portion of transportation expenses related to Uber usage of traveling business people has jumped to 31% in Q2 vs. 8% for the same period in 2014. Meanwhile, car rental usage has declined to 45% from 55%.